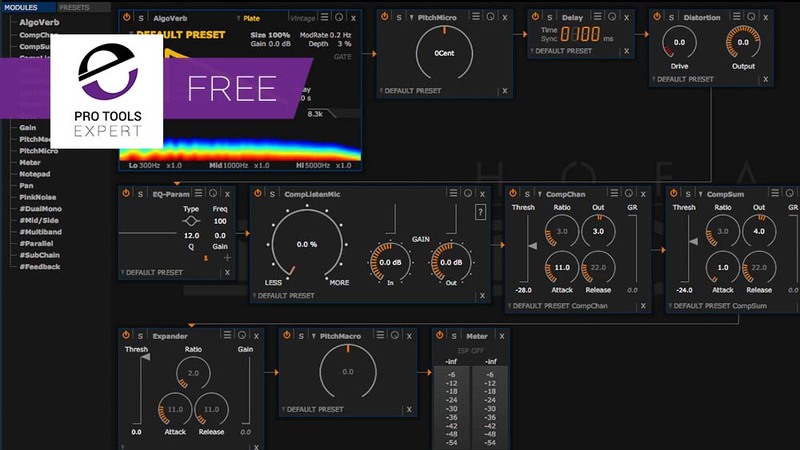 In this week's Friday Free Plug-in, we are featuring HOFA System, a free, with "freemium' elements. modular processing environment. Using System you combine patchable plug-in elements to create bespoke plug-ins. Think of a Modular Synth for audio and you'll know what to expect. There are some paid for elements but even without using them, this is still a very capable plug-in which, because of its modular nature, encourages experimentation and originality. All modules are available but some modules restrict which parameters are editable, for example in the CompChannel module, threshold and attack are editable but ratio and release are not. Go to the HOFA website and download the HOFA Plugins Manager. Using this, you can install System.